Charlotte is an only child, reared by a brutal father who cannot forgive her for not being the son he desires. Loved by most that she meets, Charlotte has a gift for friendship, and it is her work as a Sunday School teacher that gives her hope - and an escape from home. When Charlotte meets Miles Thornton, she is instantly drawn to him. He is new to the area and a widower, with three lovely young sons to look after but the one thing he has longed for is a daughter. As they grow to understand one another, it seems that Miles and Charlotte have more in common that meets the eye... 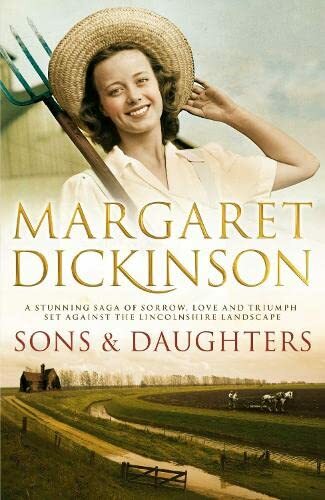 Sweeping from the early 1920s through to the end of World War II, SONS AND DAUGHTERS is a compelling, traditional saga set against the Lincolnshire landscape that Margaret Dickinson portrays so well.